"Been playing some chess with my husband recently", my friend Megan began, as we sat with our drinks in Coffee Monarchy. "How'd you get on?" I asked. "Didn't get off to a good start, I'm afraid. In our first game, he managed to beat me in only seven moves. I've still got the moves here, for what it's worth." Now, given that this was the winner's seventh move, what were the moves that led up to this victory? This is an entry in Fortnightly Topic Challenge #40: Retrograde Analysis. a mating move by a king is always discovered check. 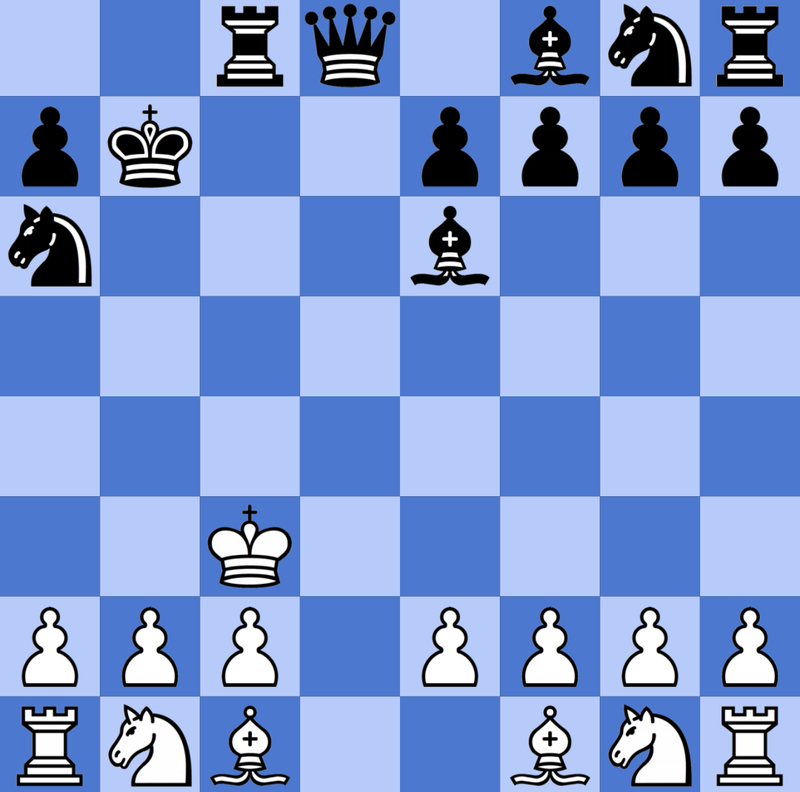 Black, because White's king can get to b7 in 7 moves but there's no move left to set up a 'battery', i.e. a queen on a4 which would give mate after Kc6xb7. create a discovered check over the b8-h2 diagonal; it's easy to get the white king to e5, and the white bishop via a6 to b7 where it can be captured, but there's not enough time to weave a mating net. a major piece on c8 giving the discovered check.